Ang Misyon’s Annual Music Camp – Ang Misyon, Inc. Maestro Joshua Dos Santos lifts his hands to signal ready. Surrounding him are 70 members of the Orchestra of the Filipino Youth (OFY,) Ang Misyon’s performing arm for the organization’s orchestral music program. It’s the 7th and final day of their annual week-long music camp and the young members are ready to play Shostakovich’s Sypmhony No. 12, a piece they have studied all week. After the small group workshops, the scholars then proceed to small group music sessions. This is where the mentoring aspect of Ang Misyon’s orchestral music program takes place, with the higher-level scholars overseeing the progress made by the younger members of the orchestra. During these group sessions, scholars participate in one-on-one mentoring. In the afternoon, after lunch and a break for snacks, the scholars then proceed to their sectional rehearsals conducted by mentors who oversee the practices of each orchestra section. Sectional rehearsals are in preparation for orchestra rehearsals where all 70 scholars come together to play as a full-orchestra. Orchestra rehearsals take place for two hours in the evening, after dinner and before bed time. It’s a mini culmination for everything they’ve practiced during the day, and a build up to the seventh and last day of the music camp where the OFY will be performing a short recital to showcase all the things they’ve learned throughout the week. A first-time participant at the music camp is 13-year old Ernest, a principal Oboe player for the OFY. Ernest is in Grade 8 and he lives in a town in Rizal, a province one hour away from Metro Manila. 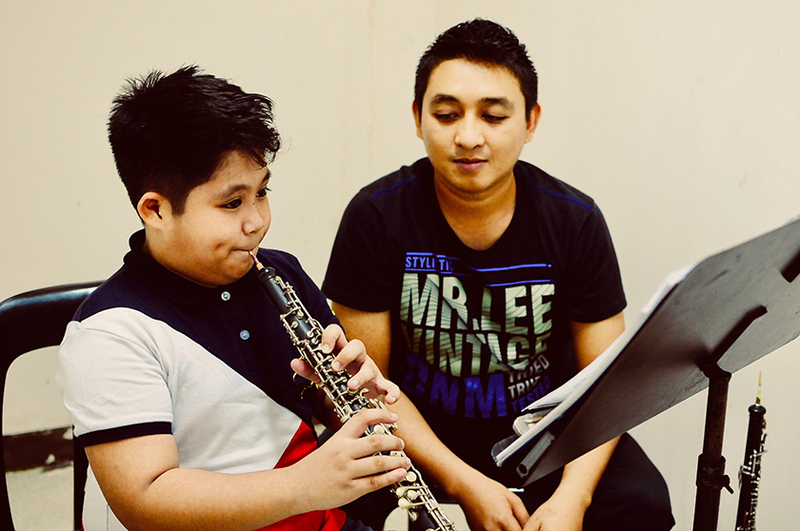 He has been studying the Oboe for a year with Ang Misyon under the mentorship of Arvin, who is one of the pioneer members of the OFY. Arvin transitioned from becoming a member of the OFY to becoming a mentor of the orchestra in 2016. He is currently majoring in music at the University of the Philippines and has gone on to play professionally for the Manila Symphony Orchestra. On the seventh and final day of the music camp, Ernest is one of the 70 members of the OFY about to perform Shostakovich’s Symphony No. 5. 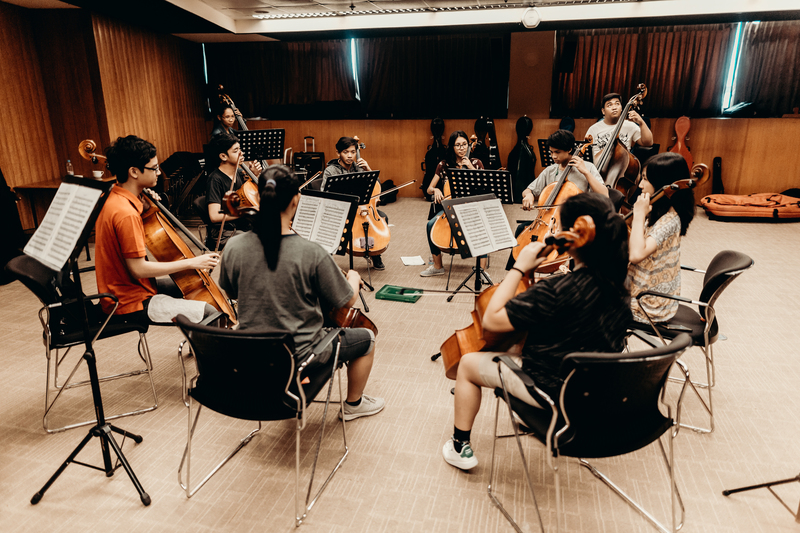 It’s said to be one of the toughest pieces of orchestral music to play, but after their week-long music camp, the Orchestra of the Filipino Youth performed it with only great ease and mastery.